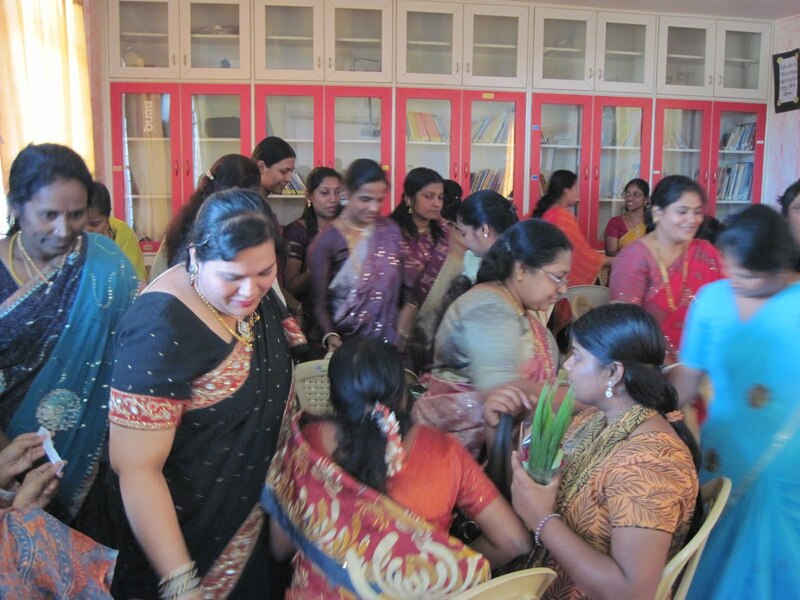 Early in 2010, having a Teacher Resource Centre was an exciting new idea for the management and teachers of our five schools, under Turning Schools Around Project.. 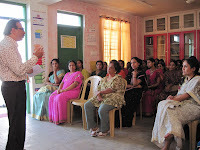 Teacher Resource Centers are universally defined as a central locations which contain resource banks for teachers from various clusters of shools. In the goverment structure, Cluster Resouce Centres or the Block Resource Centres exist and sometimes run to help the teachers but such is not the case with the private sector. To address this gap, it was decided that a resource centr e for our group of five schools would be set up at Citizens' English High School. The school was chosen taking in to consideration the enthusiasm and vision shared by the management and the teachers alike. It was envisioned as a central space where teachers from all five schools could collaborate and work towards achieving their goals. After months of planning, hard-work and gathering resources to make the TRC an enriching environment, it was finally inaugrated on the 13 th of January by the Director, TTF, Maya Menon. At the inaugration, Maya talked about how effective learning is important and what role can the teacher play in making this a reality. She also added how the TRC can be used as a space to encourage collaboration between the teachers and come up with new and better ways of teaching students. Her address was followed by a few lines from Mr. Khan, the head of the school. He emphasised on the steps and struggles of setting up the TRC and also talked about his plans for making the TRC a vibrant place for educators from not only these five schools, but other neighbouring schools as well. To add some fun to the proceedings, a treasure hunt and a qu iz were organised. The treasure hunt required the participants to move around the TRC and find specific objects. This was followed by a quiz based on what they had observed in the TRC. The quiz was structured around the resources available in the TRC and the specific details about the TRC, which they should have noticed during the treasure hunt. The teachers enjoyed the games and were fairly competitive with each other. 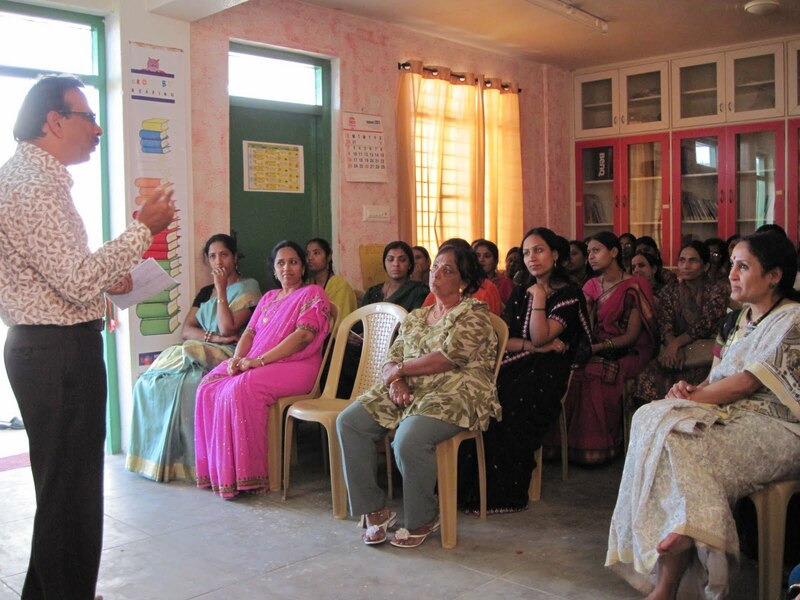 The day was brought to an end with a vote of thanks by Padma Murthy, Project Head , Turning Schools Around. She thanked everybody involved in the endeavour to make the TRC a reality and hoped that the TRC would serve as the ground for creative and enriching teaching practices. 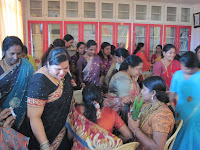 The inauguration ceremony was followed opportunities for teachers from the TSA schools to network with each other as well as teachers from neighbouring schools.